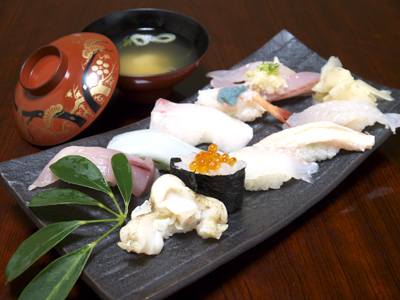 This sushi restaurant lets you indulge in fresh and local toppings. The shop is always busy with regular customers thanks to the owner's friendly attitude and the shop's cozy atmostphere. Many tourists also walk in after seeing the shop's signboard at the roadside station. Their motto is fresh, delicious, and affordable. We recommend their hot-pots during the cold winter season.